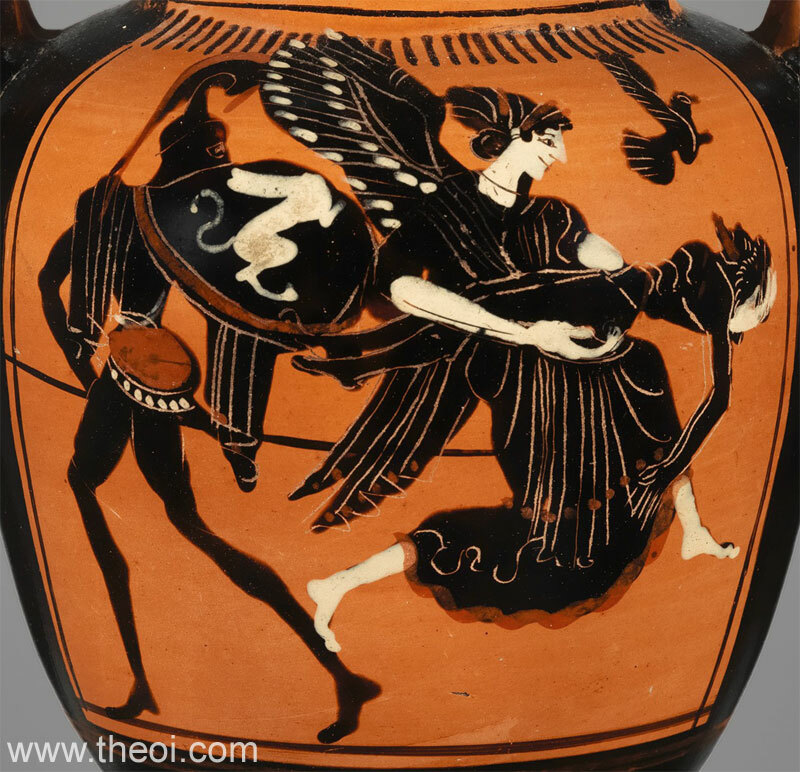 Eos, the winged goddess of the dawn, carries the body of her son Memnon from the battlefields of Troy. The bird hovering above the body represents his soul. Behind them strides Achilles, the slayer of Memnon.